The Rule of Witness Sequestration. ≈ Comments Off on The Rule of Witness Sequestration. If you’ve ever been to trial and in charge of wrangling witnesses, you know about the rule of sequestration. Usually one or both parties invoke the rule at the beginning of trial, and anyone who may testify as a witness must leave the courtroom. The point is to prevent any witness’ testimony to be influenced by that of another’s. (d) a person authorized by statute or rule to be present. So, assume that a judge orders a witness sequestered and tells him not to discuss the case with prior witnesses. Further, assume that the witness violates this sequestration order by talking to a prior witness. You’d expect there to be severe consequences for that witness, right? . . .
At Depositions, Ask the Witness To Show, Not Tell. ≈ Comments Off on At Depositions, Ask the Witness To Show, Not Tell. Huh? Do you have any idea what they’re talking about? Do you know where the blood is? Neither will they when the attorney if she tries to impeach the witness using this deposition during trial. . . .
Former Convictions Do Not Always Ruin Witness Credibility. ≈ Comments Off on Former Convictions Do Not Always Ruin Witness Credibility. The witness is in good shape and the testimony looks to be great. There’s just one little problem in his past: a conviction. Litigators are understandably concerned about any threats to witness credibility, but if that threat comes in the form of a rap sheet, that’s viewed as a very damaging fact, if not a ticking time bomb. The effects of a prior conviction are most often written about in a criminal defense context where the research generally shows that the fact of a prior conviction significantly increases the chances of a current conviction, particularly where the prior conviction is for a similar crime. But it can be a factor for any witness who’s had a prior brush with the law. In civil cases, crimes involving dishonesty can be admitted for the narrow purpose of impeaching a witness’s credibility. A recent study (Stanchi & Bowen, 2014) that focused on a civil trial context looks at the question of whether the damage is as bad as one might suspect. The results? No it isn’t. In a realistic controlled study, the researchers found that prior conviction evidence did not increase the chances for an adverse verdict. Instead, emphasis on the conviction caused mock jurors to frame the trial as more of a zero sum contest on witness credibility — a frame that can end up actually benefiting the convicted witness. These results have some implications for attorneys assessing the risks to their witnesses’ credibility. . . . . Adverse Witness Direct and Cross-Examination Tips. ≈ Comments Off on Adverse Witness Direct and Cross-Examination Tips. Let’s say that in trial, your witness will be called adverse and will go through the other side’s cross-examination before getting a chance at your direct. But in your preparation sessions, you should still take them through your direct examination first. That’s what I call the ‘flipped’ order, and in this post, I aim to make the case for this as the better approach. . . . When Your Witness Goes Rogue. ≈ Comments Off on When Your Witness Goes Rogue. “Why didn’t s/he listen to me? !” . . . .
Nine Top Tips for Paralegals Preparing for Trial. ≈ Comments Off on Nine Top Tips for Paralegals Preparing for Trial. [P]aralegals play an indispensable role in the trial preparation process. It’s imperative that, in conjunction with the lead counsel, you design and adhere to a plan to make sure your energies — and those of the entire support team — are focused on the tasks that will contribute most to the success of the trial. As the final phases of intense trial preparation approach, paralegals can wear many hats: coordinating schedules, monitoring deadlines, helping prepare witnesses and documents, organizing files and exhibits, preparing subpoenas and working with all members of the support team, including expert witnesses, outside vendors, and other legal assistants and attorneys involved in the trial. Every trial attorney will use the talents of a paralegal in different ways. 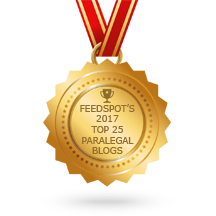 In my practice, I tend to rely heavily on paralegals and delegate a considerable amount of responsibility to them. While the following guidelines will not work for every trial team, these are nine critical steps I believe paralegals can take to help make sure when the opening gavel falls at trial, your team is prepared to prevail. . . . The Importance of a Jury’s First Impression. ≈ Comments Off on The Importance of a Jury’s First Impression. [W]e’ve written about many aspects of witness preparation before and have come to the belief that people come to firm conclusions about most witnesses very quickly. Now, as is so often handy, we have new research that shows us (again) why first impressions of witnesses are so very important.